Tanjong Pagar Area, located in the south of Singapore, is within the Historical District designated to be conserved by the Urban Redevelopment Authority of Singapore. Tanjong Pagar received conservation status on 7 July 1989 and was the site of Singapore’s first urban restoration project at no. 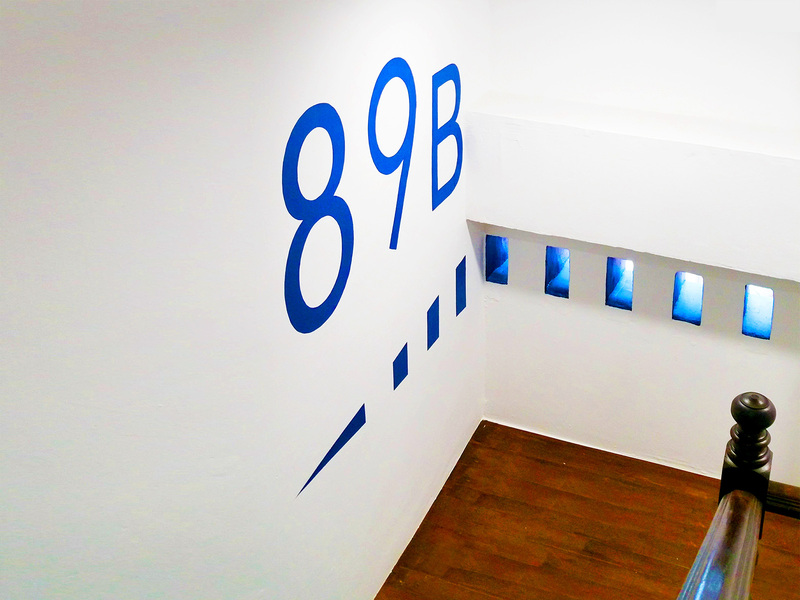 9 Neil Road, that was carried out by the Urban Redevelopment Authority of Singapore. Tanjong Pagar falls within the China Town Historical District – one of the 5 historical district identified by URA for conservation. It was the area where Chinese community live during the pre-British colonial administration period. Due to the proximity to Singapore River, this area serves as the old commercial centre of Singapore where trading was carried out. 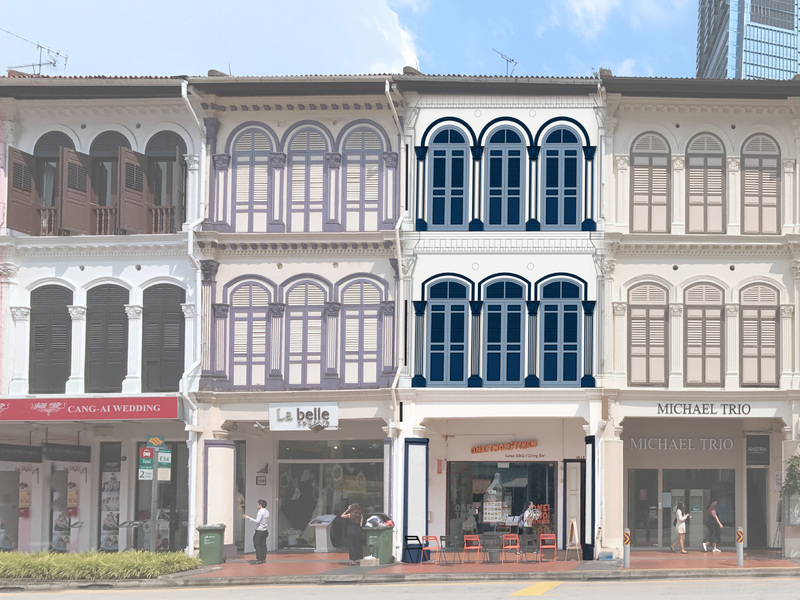 Tanjong Pagar area features mostly two- and three-storey shophouses of the Early, Transitional and Late Shophouse styles. Our client approached us to carry out restoration and revitalisation to No. 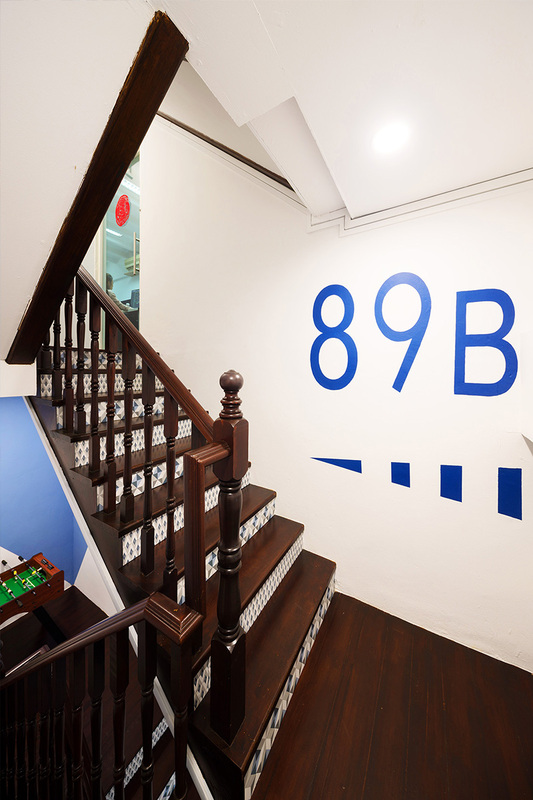 89 Tanjong Pagar Shophouse, to bring back the heritage beauty of the historical property and upgrade its facility to meet the modern standard of living. 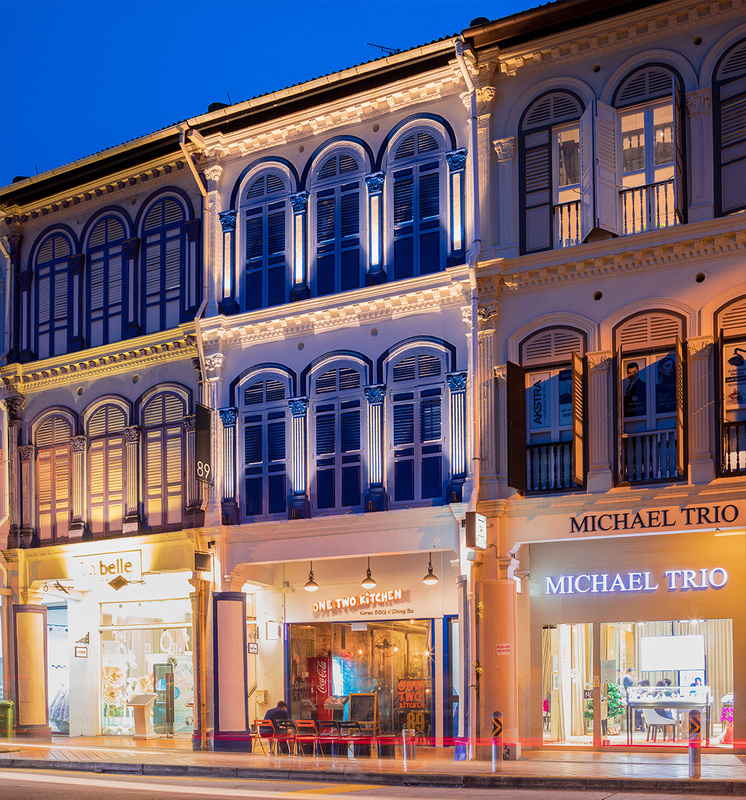 89 Tanjong Pagar is situated within the Historic Districts where the strictest form of conservation is practised in Singapore. The entire building has to be retained and restored. 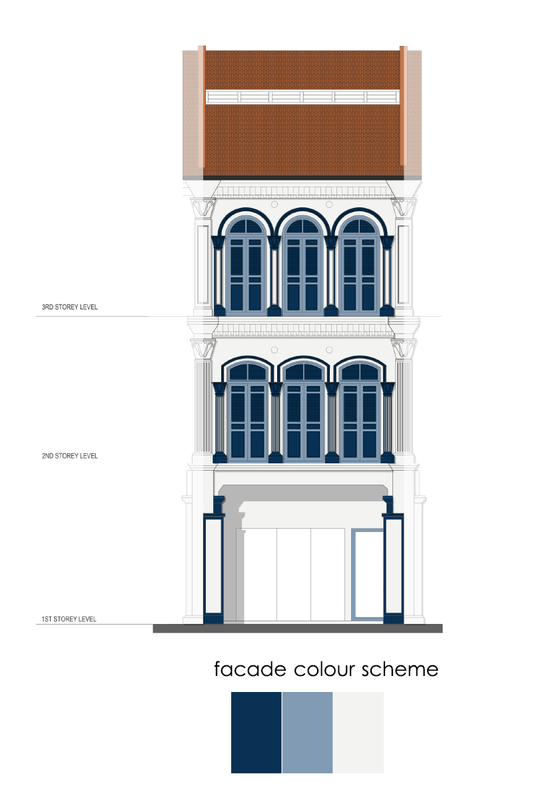 Its architecture belongs to the Late Shophouse Style. This is the most spectacular style, which is evident in its decorative mouldings and pilasters. 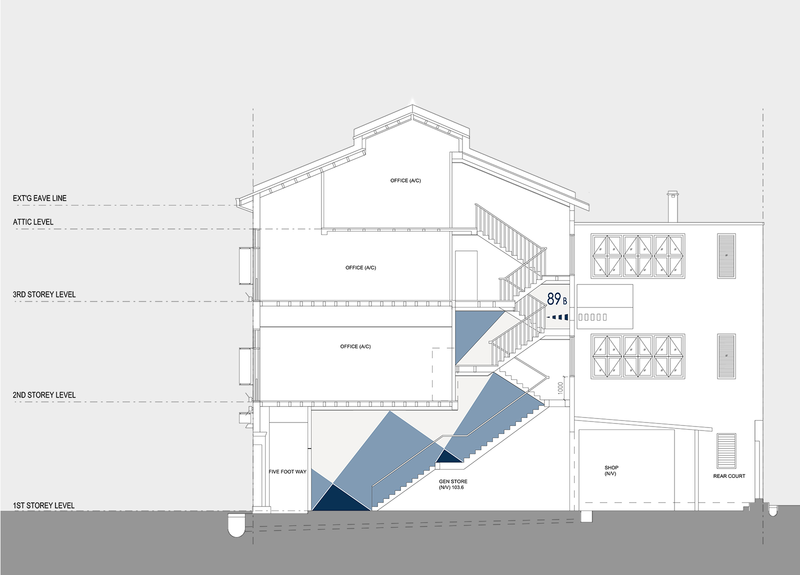 1st storey is typically for commercial and upper storeys are for office usage. Tanjong Pagar is remembered for its past being part of the ‘chinese kampong’ where thousands of Chinese immigrants had settled in. 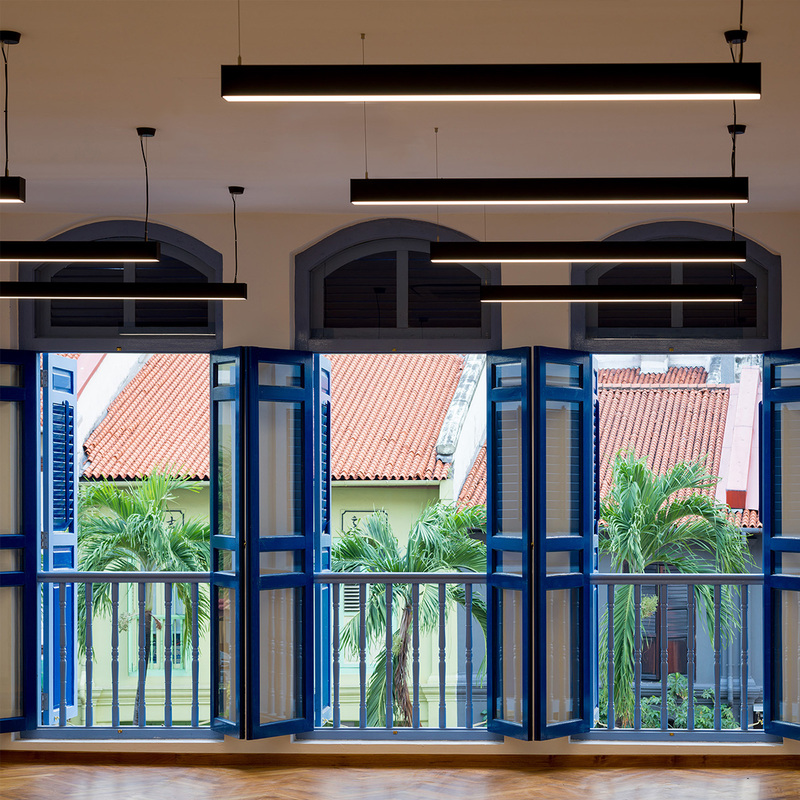 To celebrate its vibrant history, we chose hues of blue as the colour for the façade, as it signifies the ocean blue that many of our forefathers crossed to come to Singapore. 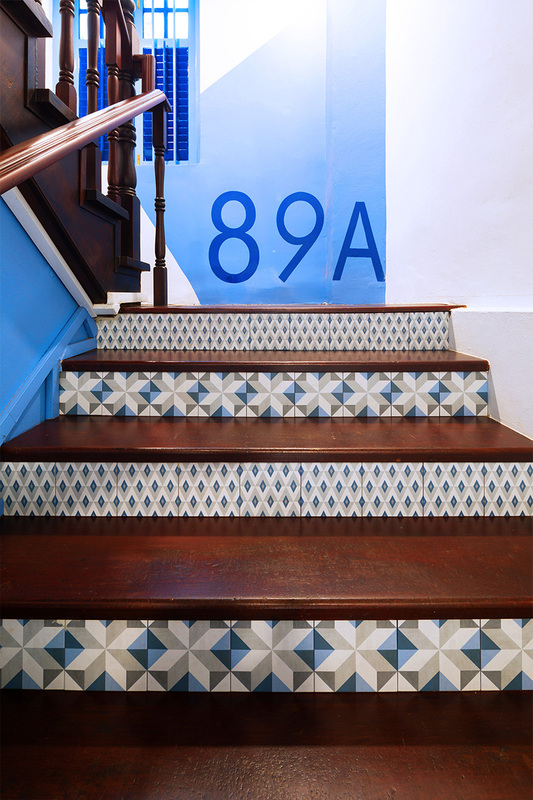 The colour also flows into the shophouse, through the staircase and into the units at upper storey. Geometry patterns are painted on the walls with large unit number to aid in way finding. 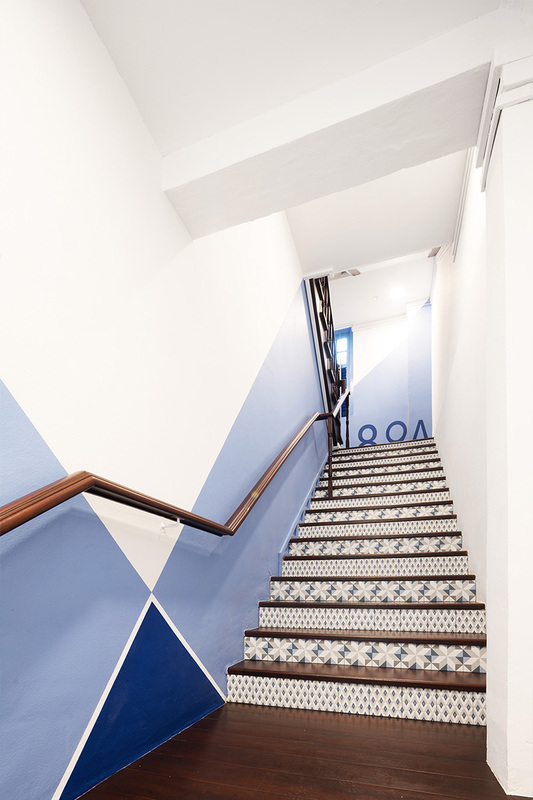 This fresh coat of blue helps to transform the former gloomy stairway into a pleasant path. Often we find that unit number is just a separate plate mounted on the door. In this design, way finding is integrated into the overall design purposefully. 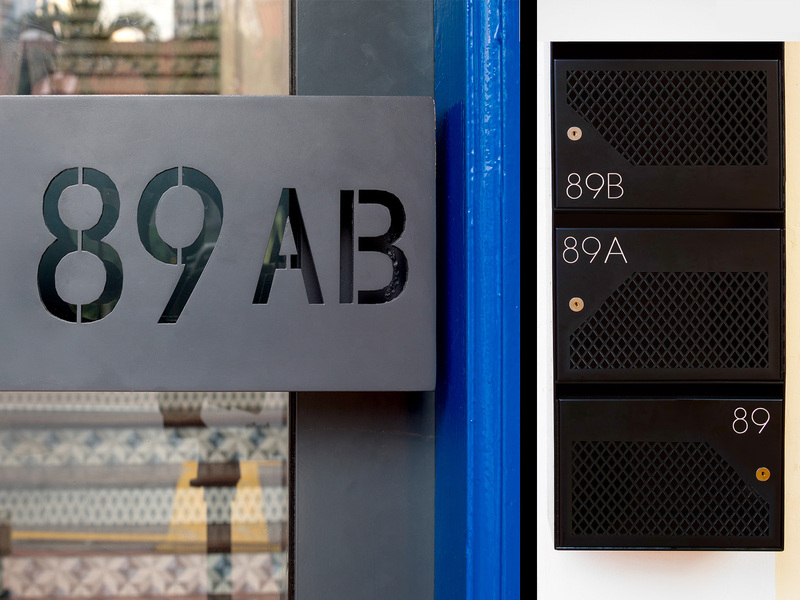 The unit numbers are inscribed into the door handles, mailboxes and painted loudly on the walls. 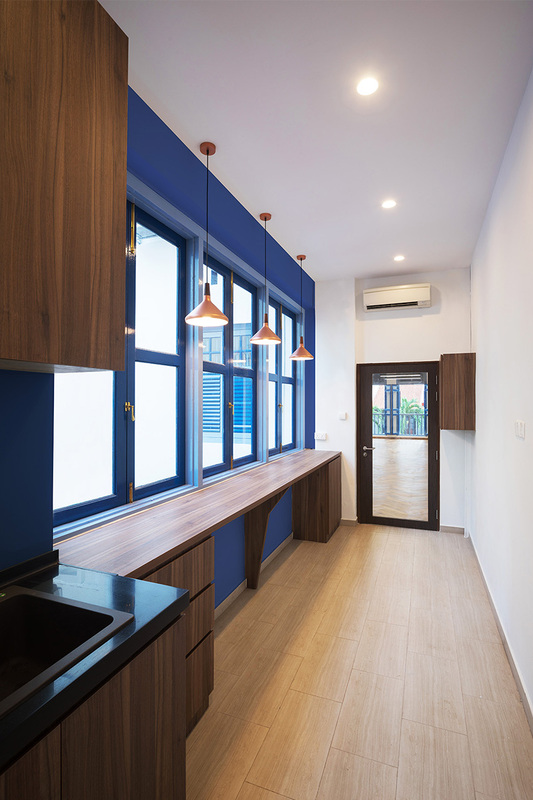 The shophouse has ample daylighting streaming into the space, which helps to compliment the chosen blue colour scheme. One side of the pantry wall is painted blue to give it an extra touch. At night, façade lights are used to highlight the decorative pilasters and restore the façade to its former glory.